Register a company is important thing while you are doing business. Here we are going to discuss the powers of Registrar of the company registration process. As per Section 234 of the 1956 Act, the Registrar had powers to call for information only in respect of documents which a company was required to submit to him and not in respect to any other documents or matter, though it was likely that every matter about a company might be brought under some document or other filed with the Registrar. This is clear from sub-section (3-A) of the Section 234 of the 1956 Act, added by the Companies (Amendment) Act, 1960, which empowered the Registrar to call for all books and papers which he consider necessary. There was no time-limit for calling for the information or explanation. Section 234 of the 1956 Act only empowered the Registrar to call for further or additional information in respect of documents filed with him, or in respect of a representation form a contributory, creditor or other interested person that the business is being carried to defraud its creditors, etc. or for a fraudulent or unlawful purpose. The intent of this powers are to put the Registrar in possession of adequate information enabling him to see if the company had compiled with the requirements of the Act. Under the provisions of the 2013 Act, the powers are wider and the Registrar may call for books and papers also, though while calling for books of accounts, books and papers etc. he has to record reasons in writing in terms of provision to section 206 (3) of the 2013 Act. In Golconda Industries Pvt. Ltd a full Bench of the Delhi High Court observed that the powers to call for information under section 234 of the 1956 Act is “with respect to any matter to which such document purports to relate”. The return of allotment is a document required to be filed with the Registrar and calling for information whether or not any allottee is a minor would be information with respect to a matter to which the said return purports to relate. The Registrar could, without availing himself of the powers vested him by section 234 and other relevant provisions of the 1956 Act, prefer a compliant to the police where cognizable offences punishable under sections 406 and 409 of the IPC were suspected. Section 630 of the 1956 Act did not bar an investigation or prosecution for offences punishable under the two sections of IPC. In the scheme of the 1956 Act, refusal or neglect was punishable even though the order of the Registrar might be unreasonable. Registrar was empowered to call for and inspect such books of accounts etc. as he might require not only in relation to the statutory documents filed with him but also in connection with the complaints lodged with him under section 234(1) of the 1956 Act. Refusal or neglect to supply information or explanation, or to produce documents would attract penalty for the company and every such officer of the company who was in default, which shall be a fine which might extend to Rs.5,000 and, where the refusal or neglect continues, a further fine up to Rs. 500 for every day for the period during which such refusal or neglect continues. It must, however, be noted that under section 206 of the 2013 Act, the maximum fine for committing default has been enhanced from Rs.5000 to Rs.100,000 though the additional fine for each day during which the default persists continues to be Rs.500. A complaint was filed against a company alleging that some of its directors had been trying to sell some of its shares illegally. The ROC issued a show-cause notice requiring the company to produce certain statutory registers and relevant reports. It was then claimed that the company failed to produce the requisite documents. It, therefore became liable to criminal action under section 234(4)(a) of the 1956 Act. But the ROC was not able to show even a prima case. The complaint was quashed under section 482. The ROC has to show the bare minimum willful refusal. In this case, the company offered an explanation of why it could not produce all the records. It did produce some of them and undertook to produce the balance. In a charge against directors and officers for refusing or failing to send documents and records which were called for, the company had sent a reply to the show-cause notice. It offered explanations as to why it could not comply with the notice. It was found that the non-compliance on the part of directors was not deliberate. The complaint was also vague. It did not consider the explanations offered by the company. Thus a primary factor case was not made out against directors and officers. The complaint was quashed. A notice was issued by the Registrar without the company being heard. A writ petition against it was treated as representation by the company before the Registrar. The latter was directed to pass a speaking order after hearing the company. Thus court was not to interfere by exercising its writ jurisdiction. Receipt of statutory notice under section 234 of the 1956 Act was a sine qua non for alleging non-compliance of the order of the Registrar. Therefore, when the statutory order by the Registrar issued under section 234 of the 1956 Act was not received by the company, complaint against the company and its officers and the order of the Magistrate summoning them had to be squashed. The offence was compoundable under section 621 A of the 1956 act and in the scheme of the 2013 Act, the offence is compoundable under section 441 of the 2013 Act. By virtue of the notification issued by the Central Government under Section 10 of the 1956 Act, the jurisdiction for the purposes of clause (b) is vested in the District Court. The expression “unsatisfactory state of affairs” is very elastic, and may include anything illegal, irregular or improper in respect of the affairs of the company prejudicially affecting the company, its shareholders or any of them or any creditors, or the public interest. Central Government can order investigation under section 235 of the 1956 Act on a report of Registrar under sub-section(6) or under sub-section (7) read with sub-section (6) of the section 234 of the 1956 Act. While dismissing Registrar’s petition for winding up the company as being barred by limitation, the High Court on being satisfied that there were very good grounds for the suspicion as to the nature of the company’s business and the manner in which it was conducted, directed the Registrar to take appropriate steps for investigation into the affairs of the company. Under section 206(4) of the 2013 Act the expression “unsatisfactory affairs” has been replaced with the expression “fraudulent and unlawful purposes”. This expands has scope of powers and in case any such findings are proven the company and its officer may be punishable under section 447 of the 2013 Act for fraud. Only a person interested can make representation to the Registrar, and not any stranger; for instance, a rival company or its directors or members as such could not be said to have any interest. Further, as sub-section (7) of section 234 of the 1956 Act referred to “business being carried on”, the fraud alleged must be a present or continuing fraud. It did not apply to a case of past fraud. Section 234(7) of the 1956 Act cannot be invoked by a decree holder for court’s direction to Registrar to recover the decretal amount on his behalf. It was for the decree holder to execute the decree at the address given by the Registrar. Under the 2013 Act, the Registrar can act not only on the basis of representations made to him, but also on the basis of information available or furnished to him. The expression “is being carried on” occurring in sub-section (7) of section 234 of the 1956 Act relates to the state of affairs at the time the representation is made to the Registrar and not to something which is a matter of past history. “Since of necessity the representation must relate to something that had taken place in the past, even though it is the proximate past, it cannot relate to a state of things at present”. The test for ascertaining whether “the business of a company is being carried on in fraud of its creditors” is to see. Whether the persons who initiated or who operated the scheme are still in a position to carry on as they had been doing in the past. Whether the persons who initiated or who operated the scheme are still in a position to carry on as they had doing in the past. If so it will be reasonable top infer that they continue their past mode of conduct and are enriching themselves in the same manner as they had been doing in the past. In Coimbatore Spg’s case, the court, while conceding that the Registrar had made a mistake in omitting to give the company an opportunity of being heard before he made his written order, did not consider this irregularity, in the circumstances of the case, to be of any importance. The court was satisfied that the company was given full opportunity for submitting its written explanations and for hearing its advocates although subsequent to the written order. This amounted to a substantial compliance of the statute. For a proceeding under section 234 of the 1956 Act, it was enough if the Registrar was of that opinion, and there need not be any elaborate finding by him. The petitioner was a trade union representing majority of employees of Airport Authorities. It filed a public interest litigation alleging that the company’s claim that it had spent Rs. 270 crores towards incidental expenses was false and fraudulent. A writ of mandamus was sought for directing the Government to conduct an investigation into the company’s affairs. The petitioner was neither a shareholder, nor contributory, nor creditor of the company or any other person interested in the business of the company. His writ petition therefore could not be entertained. Other remedies were there to safeguard the property of the company. Section 234(8) of the 1956 Act was also made applicable to foreign companies coming under part 11 of the 1956 Act. By virtue of the provisions of section 228 of the 2013 Act, all the provisions related to inspection and investigations are applicable to foreign companies as well. A foreign company had shares in an Indian company. 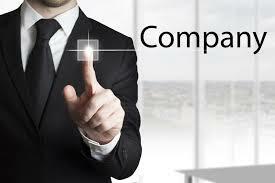 The foreign company was a wholly owned subsidiary of another foreign company. The same was taken over by still another foreign company. It was held that this transaction did not amount to transfer of interest in business in India. The petitioner filed a writ petition seeking an order requiring the Directorate of Enforcement under FERA, 1973, to take action in the matter. A single judge dismissed the petition holding that there was no violation of section 26(4) of FERA and asked the petitioner to exercise his remedies under section 234 (power of Registrar to call for information and explanation), section 237 (power of investigation of affairs) and section 247 (investigation of ownership of company) of the 1956 act. The petitioner’s appeal against the decision was dismissed by a Division Bench. No documents relating to the alleged transfer had been produced. The earlier writ on same powers also constituted a res judicata. There was no reason why remedies under the 1956 Act were not availed of for finding out the reality of the shareholding. From the above article, we have clear idea about the powers of Registrars and some real time examples on powers of Registrar.